Expansion of economic corridor networks and new areas for economic investment will strengthen trade and investment links between the capital cities of Mekong countries. Photo: ADB. CHIANG RAI, THAILAND (1 December 2016) – A major expansion of economic corridor networks and new areas for economic investment will strengthen links between the capital cities of Mekong countries, and provide unprecedented opportunities for cross-border trade and investment under an agreement reached today by officials attending the 21st Greater Mekong Subregion (GMS) Ministerial Conference. Myanmar’s capital city of Nay Pyi Taw, the country’s two largest cities — Yangon and Mandalay — and the country’s main port in Yangon will all become part of the GMS economic corridor network for the first time. Vientiane, Lao People’s Democratic Republic (Lao PDR), will also be incorporated in the network, forging stronger links between the landlocked nation and neighboring Thailand, Viet Nam, and People’s Republic of China (PRC). 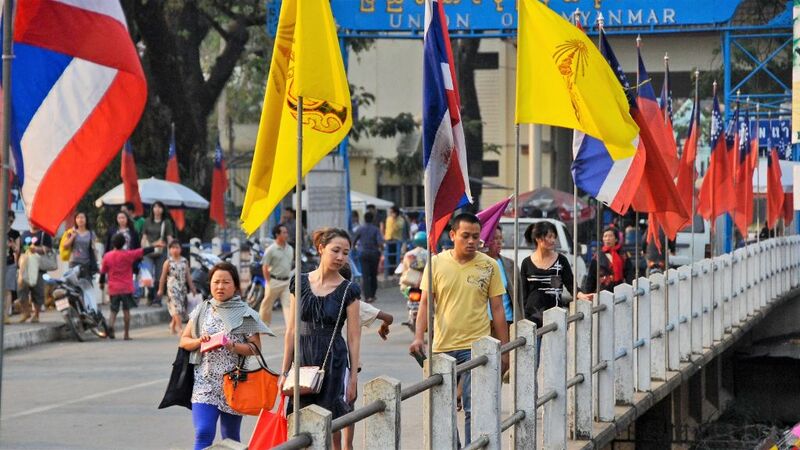 “Today’s agreement to enhance connectivity between Mekong capitals, major economic centers and important maritime gateways establishes a firm foundation for a more prosperous and inclusive subregion,” said Asian Development Bank (ADB) Vice-President Stephen Groff. Mekong nations have been pursuing the “economic corridor” system for more than two decades. Economic corridors are investment areas, usually running along major highways, which connect centers of economic activity. In the GMS, these corridors have provided jobs, increased access to goods and services for millions of people, and contributed to 15-fold growth in intra-GMS trade over the past 15 years. ADB has supported the establishment of the East-West, North-South, and Southern GMS Economic Corridors since their inception to promote the subregion’s economic growth and integration. The subregion’s rapid growth and the opening up of the Myanmar economy have highlighted the need to further expand these corridors, according to officials attending today’s meeting. Ministers endorsed a pipeline of 107 projects under a new Regional Investment Framework Implementation Plan valued at $32.7 billion. They examined ways to enhance competitiveness and accelerate inclusive development in the GMS, and reviewed the long-term strategic framework for the subregion’s economic and social development. Ministers also highlighted new trade and transport measures that will take effect in 2017. These include implementation of the GMS Cross Border Transport Agreement, expansion of single stop customs inspections at key border crossing points to reduce processing time, and the introduction of a GMS Road Transport Permit which will further facilitate the cross-border movement of vehicles, people, and goods. The GMS countries are Cambodia, the PRC (specifically Yunnan Province and Guangxi Zhuang Autonomous Region), Lao PDR, Myanmar, Thailand, and Viet Nam. Under the GMS program, investment projects worth almost $18 billion have been undertaken since 1992.